Foundation Resource Management finds its roots back in 1992 in Little Rock and it has a current portfolio value of $765 million, as per its recent SEC 13F filing. The hedge fund has its largest investments in energy and healthcare industry. The top 10 holdings of Foundation Resource Management Inc constitute 51.25% of its overall portfolio. Some of its primary stock holdings include Pfizer Inc. (NYSE:PFE), ConocoPhillips (NYSE:COP), and Merck & Co., Inc. (NYSE:MRK). 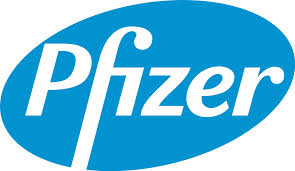 Pfizer Inc. (NYSE:PFE) is the largest investment of Foundation Resource Management Inc with investments worth $55 million and 1,869,601 shares of the company. Pfizer Inc. (NYSE:PFE) announced net revenues of $12.8 billion for the second quarter 2014 with adjusted diluted EPS of 58 cents for the quarter. Some of the largest investors of Pfizer Inc. (NYSE:PFE) include Fisher Asset Management ($934 million), Oz Management ($466 million), and Aqr Capital Management ($308 million). ConocoPhillips (NYSE:COP) is the second largest stock holding of Foundation Resource Management with 686,216 shares and investments exceeding $52 million. ConocoPhillips (NYSE:COP) announced earnings of $2.1 billion for the second quarter 2014 with 6.5% growth in production on YoY basis. First Eagle Investment Management is the largest investor of ConocoPhillips (NYSE:COP) with investments worth $660 million followed by Yacktman Asset Management ($526 million), and Soroban Capital Partners ($224 million). Foundation Resource Management has its third largest stock holdings in Merck & Co., Inc. (NYSE:MRK) with 803,546 shares worth $47 million. Merck & Co., Inc. (NYSE:MRK) reported second quarter 2014 GAAP earnings per share of $0.68 with net global sales of $10.9 billion. Fisher Asset Management is the primary investor of Merck & Co., Inc. (NYSE:MRK) with investments worth $373 million followed by Arrowstreet Capital ($306 million) and Adage Capital Management ($295 million).